Oxford is a streaked white sitting room coffee table, characterised by coated wood boards finished with a texture with visible grains. The rectangular shape is realized in such a way to create several surfaces. The upper top is suitable for flower vases and decorative objects, the inferior tops for magazines and CDs. Oxford is the ideal accessory for the sitting room, it can be placed in front of a sofa or an armchair. Its clean elegant lines can fit any style of furniture. Use the product configuration menu to go through the available finishes and colours. 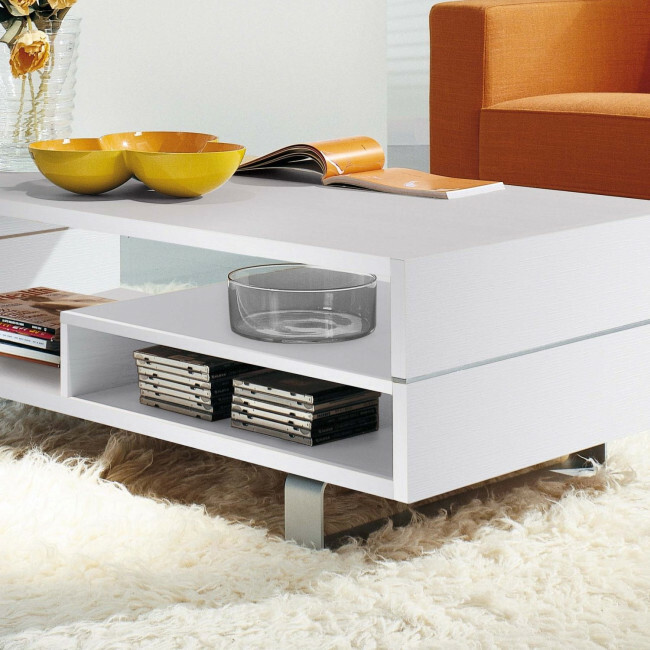 Oxford is a white wooden coffee table ideal for the sitting room. This coffee table can be customized according to finishes. You can find all customization possibilities of this coffee table by using the configuration menu.